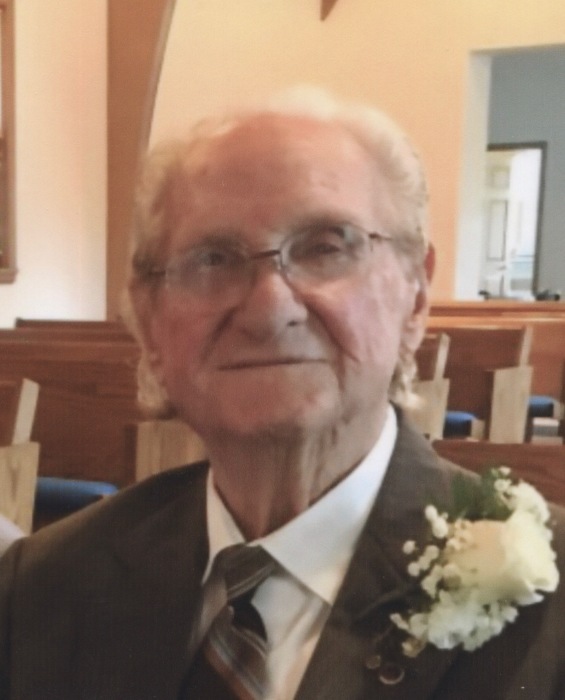 Theodore Keith “Ted” Kellerman age 90 of Crosby died on August 8, 2018 at his home. He was born on September 30, 1927 in Aitkin, Township to John and Margaretta (Meyer) Kellerman. Ted was a WWII Navy veteran. He was a member of St. John’s Lutheran Church of Cedarbrook. He was also a member of the Mystic Masonic Lodge, Aitkin, the Scottish Rite and Shrine of Chattanooga, TN, was past Master of Blyth-Needles Lodge #473, Blyth, CA and the Walter Scott Erickson American Legion Post #557, Deerwood. Ted was an electrician with Pickard Mathard and Kaiser Steel Mining Company. Ted is survived by one son, Donald (Judy) Kellerman of Cleveland, TN; two daughters, Dianne “Kelly” (John) Lavrinc of Arvada, CO and Cheryl (Rennie) Jaramillo of Washington, UT; his life companion, Jean Root; one brother, Larry (Gerilynn) Kellerman of Baxter; four grandchildren and seven great grandchildren. Preceding Ted in death are his parents; his first wife, Amelia in 1997; one brother, John “Nick” Kellerman; two sisters, Caroline Weber and Grace Brown. Funeral services will be 11:00 a.m. Friday, August 17, 2018 at the Immanuel Lutheran Church in Crosby with full military honors by the Walter Scott Erickson American Legion Post #557, Deerwood. Burial will be at St. John’s Lutheran Church Cemetery of Cedarbrook. Visitation will be on Thursday from 4 to 7 p.m. with a Masonic service at 6:30 p.m. at the Koop Funeral Home and also one hour prior to the service at the church on Friday.